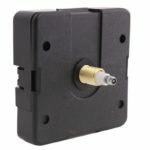 Battery operated clock movements come in a variety of options and they all vary a little bit from manufacturer to manufacturer. 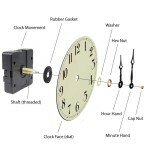 The holes used to mount the clock are not all the same, so even if you already have clock hands they may not fit onto your new clock movement. 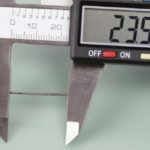 Use this guide to help you determine what size clock hands you need for your clock project. The very first step in determining clock hand size is to measure the diameter of your clock face, also known as a clock dial. 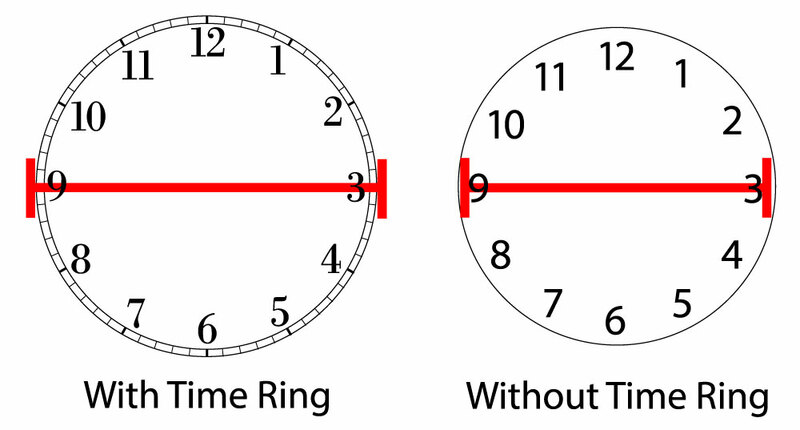 Use a ruler to measure the outside diameter of the time ring. 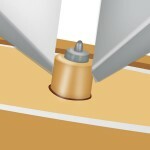 If there is no time ring, measure the outside edge of the numbers or markers. 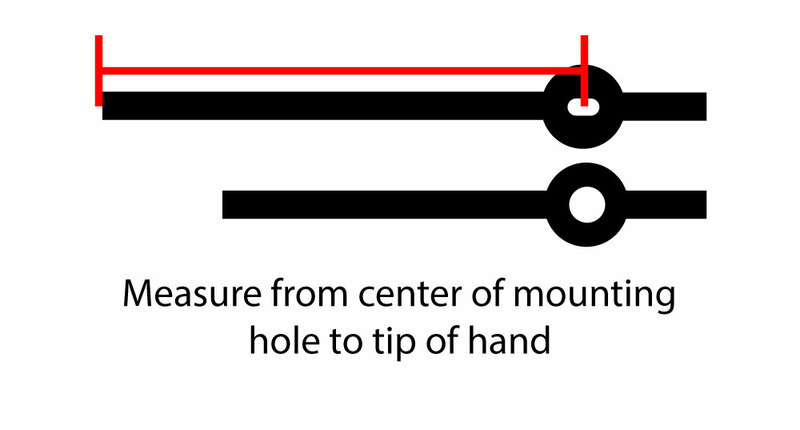 Take the outside diameter measurement and divide it by two to give you the length of the minute hand. The “rules” for clock hand length are pretty relaxed so you can end your minute hand in the middle of the indicator. 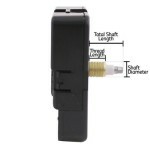 You can generally be within a 1/4″ and it will still work. 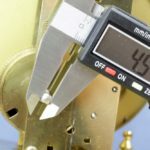 Clock hands are listed with the minute hand length, measured from the middle of the mounting hole to the tip of the hand. The length of the hour hand will correspond with the minute hand so you don’t need to measure the hour hand. 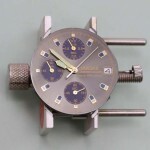 Our clock hands are sold by the pair so you will get both minute and hour hands together. 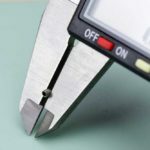 If the hands are slightly too long you can always trim the hands to a shorter length; the hands are made of aluminum or brass plated steel so they’re easy to trim. There are generally two different styles of clock hand mounts: I-post and push-on. 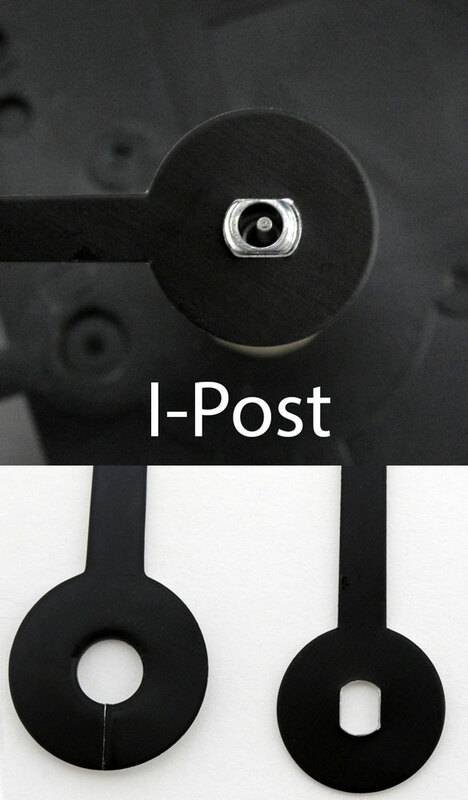 With the I-post, the minute hand mounting hole is more rectangular than round to fit onto the post that looks similar in that is is round with two flat sides. 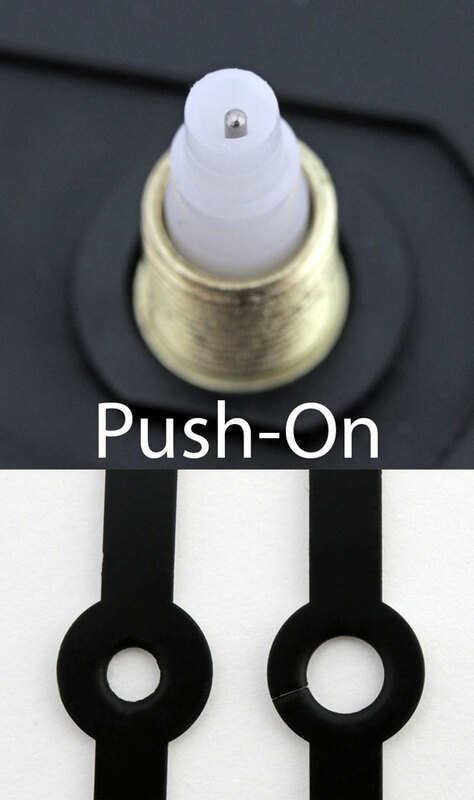 The push-on hands style has a smaller round hole on the minute hand than the hour hand to fit over the post on a push-on clock movement. These hands don’t require nuts to hold them in place on the shaft. I enjoy ALL your training information just recently got involved with watch repair –only quartz for now. Thanks for information, find it very informative.